With some of the most biodiverse reefs in the whole of the Caribbean Sea and a cultural heritage to match, there are very good reasons why Curaçao was nominated as one of the Top 25 scuba diving destination in the world in our 2018 DIVE Travel Awards. Here's a taste of what you can expect to find when you book your next vacation! Curaçao is an island in the southern Caribbean, part of a group of the Lesser Antilles known as the 'ABCs', which includes Aruba to the west and Bonaire to the east. 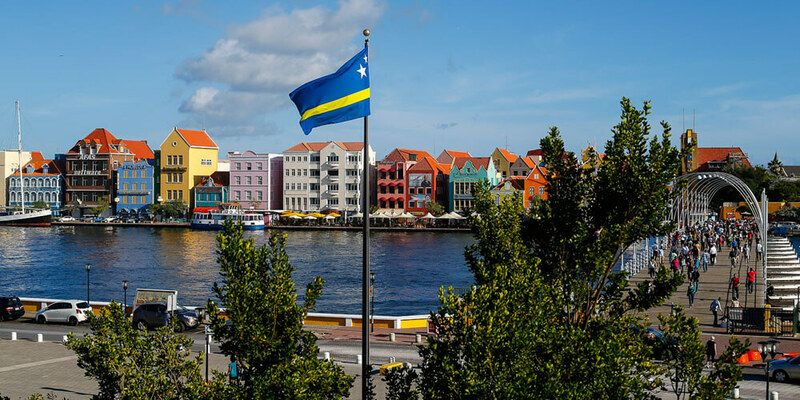 Formerly known as the Netherlands Antilles, Curaçao gained its independence in 2010. The island is steeped in tragic history, as Spanish, Portuguese, British, French and Dutch colonialists sought dominion over the southern Caribbean. The original indigenous Arawak population was effectively wiped out by the first Spanish invaders, and Curaçao subsequently became a focal point for the slave trade until the Dutch abolition of slavery in 1863. Consequently, the local language, Papiamentu, is a curious Creole mixture of Portuguese, Spanish and Dutch. Some of the colonial forts are now preserved and open to tourists, and the colourful Dutch architecture present throughout the thriving capital of Willemstad is a major attraction for visitors. The city is on the cruise ship trail (better to visit when they're not in port!) and the swinging pontoon bridge that connects the districts Punda and Otrobanda either side of the central Sint Anna Bay is a sight to behold in itself, as large ships pass in and out of the natural harbour. Situated approximately 75km from the Venezuelan coast of South America, the climate and water temperature make for great diving throughout the year. Average air temperatures hover between 25 and 30°C for much of the year, with the water temperature following suit. The October - December wet season can make it feel a little cooler, but most divers would be quite comfortable in a 3mm shorty for much of the year. 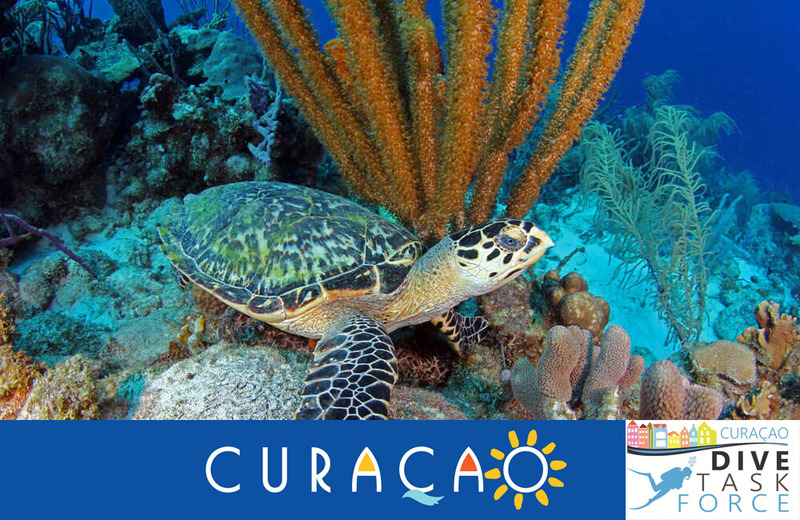 Underwater, Curaçao is home to one of the most biodiverse coral reef systems in the entire Caribbean. It is estimated that up to 70 per cent of all Caribbean coral species are found around the island, together with around 400 different species of fish. Although the reefs were impacted by the 2015/16 bleaching event, they were not as severely impacted as others. Curaçao's shape and location mean that almost the entirety of the southern coast is sheltered from the storms that form in the Caribbean Sea to the north. The water is mostly calm at the surface, and if there is any current at all, it is usually less than moderate. Much of the diving is from shore, often accessible from compact, white sand beaches. A short walk into the water is all that is required, with many of the dive sites being composed of a shallow, fringing reef that drops off into deeper water fairly close to shore. The extent of the fringing reef varies between almost nothing, leading to the spectacular walls of Directors' Bay, or the gentle-to-steep slopes of Pierbaai and Varsenbaai. Towards the western end of the island, the shallow reef extends much further offshore at sites like Mushroom Forest, a wonderful, relatively shallow dive through huge fields of small pinnacles that give the dive site its name. There are several notable wrecks in the area, the most famous of which is the Superior Producer, an overloaded cargo ship that sank in 1977 shortly after leaving port in Willemstad. The iconic Tugboat is another great dive, although the wreck itself plays a secondary role to the fantastic reef. Car Pile – which is exactly that – located on the otherwise fantastic reef at Pierbaai, is hardly a conservationist's dream, but they've been there a long time and the sight of a pile of vintage automobiles stuck on the drop-off lends a slightly spooky, but oddly comical, aspect to a great dive. Boat diving is also available - partly dependent on the operator's location, partly on the partnerships that Curaçao's dive centres work within. Arrangements between dive centres can be made to accommodate divers who wish to visit sites further offshore, such as those around Klein Curaçao, the island's small and uninhabited neighbour. 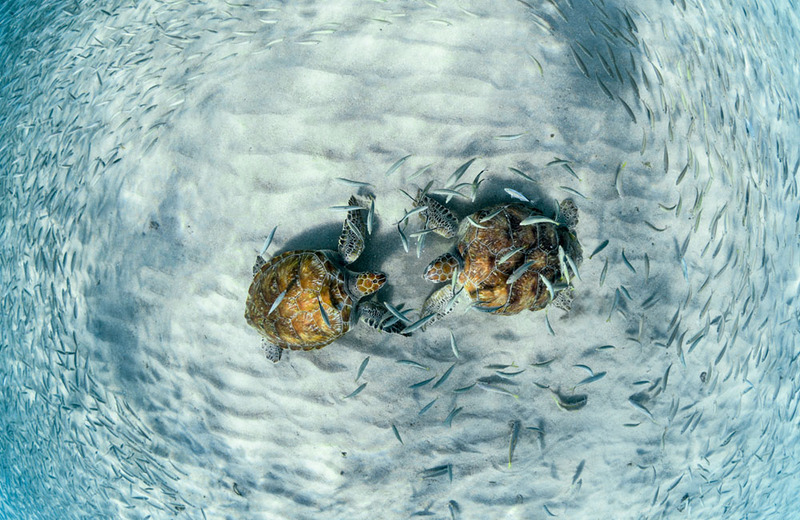 Dive centres have come together to produce a set of self-regulatory standards through an organisation known as The Curaçao Hospitality and Tourism Association's (CHATA) Dive Task Force, whose members are approved by the Curaçao Tourism Board based on their commitment to safe and sustainable scuba diving. Potential visitors should only consider those listed on the CHATA Dive Task Force website when booking dive vacations.